AVAILABLE THIS FALL. 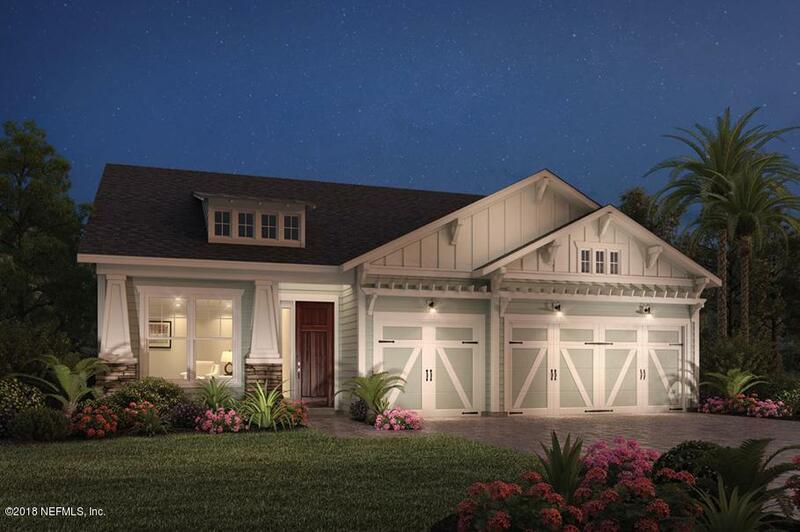 Come see our Anastasia Craftsman home design all situated on a beautiful home site backed up to a preserve located in the Julington Lakes community by Toll Brothers in Saint Johns County. Offers a fresh, coastal and modern open architecture in a beautifully designed gated community. Amenities include the gated entry, residents clubhouse, fitness center with yoga room, canoe-kayak launch next to an open air pavilion with wood burning fireplace, pool with designated lap lanes, tennis and basketball courts along with a multi-purpose field, many parks and walking paths and a boardwalk entry directly into nearby Veterans park. Come see our furnished model homes and why there is so much excitement happening in Julington Lakes by Toll Brothers.